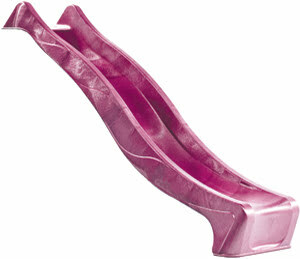 This slide is available in two different sizes; 8ft and 10ft. 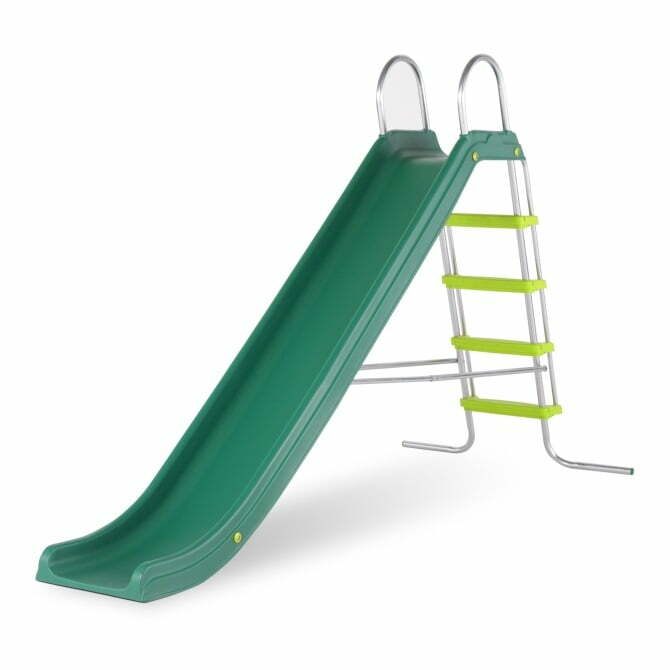 The 8′ slide fits onto a 4′ climbing frame platform and the 10′ fits onto a 5′ platform. The 10′ is available in three colours; dark green, apple green or pink. The 8′ is only available in green. 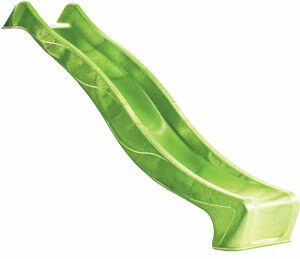 These plastic slides have a wave in the middle and a step off at the end so are not suitable for toddlers. 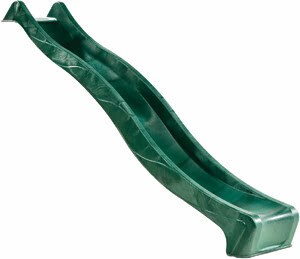 They are also not compatible with an Aqua Slide but do fit in to a shorter space than a conventional slide.